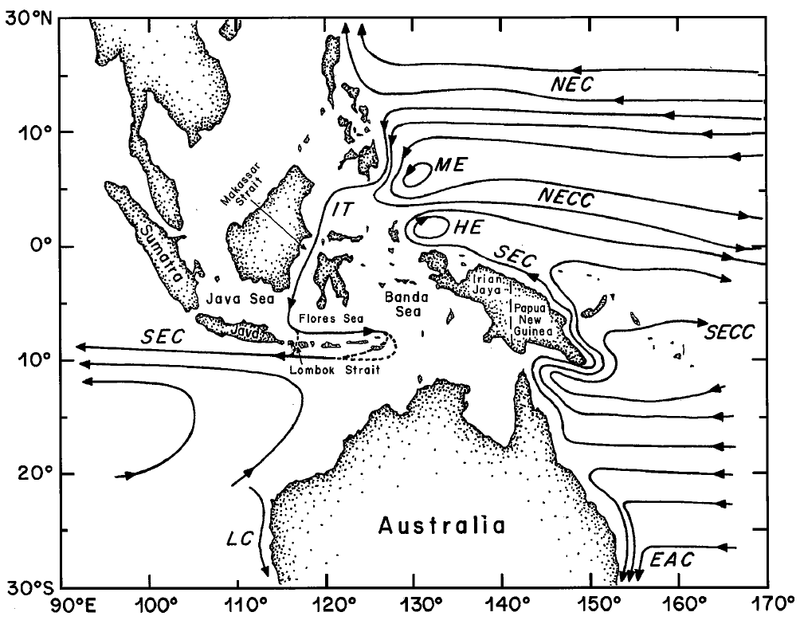 Figure 11-26: A schematic of the current patterns near the Indonesian Pasages, adapted from Godfrey (1996). 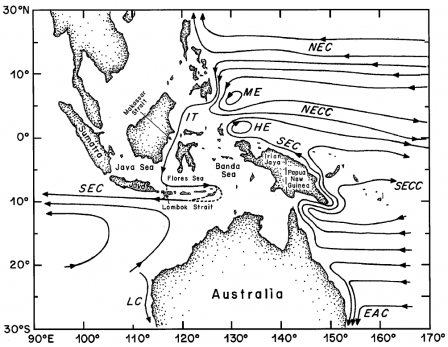 NEC, North Equatorial Current; NECC, North Equatorial Countercurrent; HE, Halmahera Eddy; ME, Mindanao Eddy; IT, Indonesian Throughflow; SEC, South Equatorial Current; SECC, South Equatorial Countercurrent; EAC, East Australian Current; and LC, Leeuwin Current. 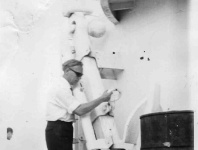 Schmitz, W. J., Jr. 1996b. 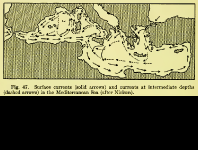 On the World Ocean Circulation: Volume 11. 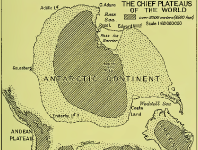 The Pacific and Indian Oceans/A Global Update. Woods Hole Oceanographic Institution TR WHOI-96-03. 141 pp.